The naming and founding of Lancashire are thought to have started with its origins in the twelfth century. In the Domesday Book (1086), some of its territories had been assigned to Yorkshire. 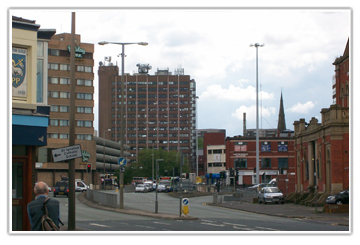 Lancashire developed amid the Industrial Revolution as a significant business and industrial district. By the 1830s, roughly 85% of all cotton made worldwide was handled in Lancashire. 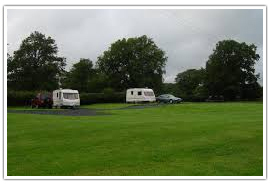 Parts of Lancashire are very open and wild and has made it a very popular tourist attraction. 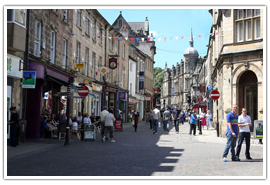 Lancaster, the main county town of Lancaster is roughly three hours from London by bus. Lancashire is a wide open place and ahs many villages, towns, and hamlets hidden away, waiting to be discovered by inquisitive tourists. 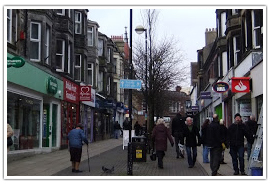 Sometimes called “Little Blackpool”, Morecambe is quite a popular coastal tourist resort in Lancashire. Morecambe was a flourishing coastal tourist resort in the 1950s through to the 1980s. While the resort of Blackpool pulled in tourists mainly from the Lancashire milling and mining towns, Morecambe had more guests from Yorkshire because of its direct railway connection. Its claim to fame is that between 1956 and 1989 it was the home of the Miss Great Britain festival. Things to see in Morecambe include Frontierland, Lancaster Castle, and the Eric Morecambe Statue. Independent of Council of Lancashire. Modern-day Blackpool is world-renowned for its “Golden Mile” display of lights, as well as numerous theme parks, shopping centers, arcades and sandy beaches. Lancaster is the county town of Lancashire and rests on the River Lune, making it a port town as well as an important center of commerce, historically in the wool and nylon trades. Lancaster has many fine architectural attractions to see, as well as good shopping and great restaurants with excellent Northern cuisine. Attractions in this friendly old town include The Ruskin Library, Lune Millennium Bridge and the famous Way of the Roses. Lancashire is on the doorstep of the Lake District, providing great scenery and has many fine old houses and gardens for those who appreciate such things. 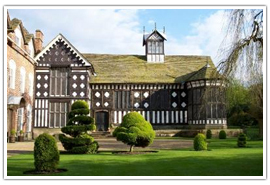 Visit one of Lancashire’s finest Tudor structures which were erected in the 1530s and is located only 7 miles from Southport. Photograph astonishing old furniture, suits of armor and woven artwork or uncover the ancient dining room with its heavily laden table, lit candles and ‘fire in the hearth’ just waiting to welcome the family’s visitors to tea. The herbaceous outskirts with their buzzing honey bees and fluttering many-hued butterflies bursts with color and vibrancy in the summer and is constantly being improved and developed by enclosure volunteers and staff, making Rufford Old Hall a rare gem for all who are lucky enough to discover it. A beautiful gem among old country houses, Browsholme Hall has been the inherited home of the Parkers, Bowbearers of the Forest of Bowland since the time Tudor times. The enclosures and grounds are laid out in the style of Capability Brown with beautiful open vistas, gardens, a “ha-ha”, an arrangement of lakes and patios as well as a unique “wilderness” currently being developed and restored. The story of Barbara’s beautiful garden begins in the 1970s when she used to help her mother with their small but well-organized garden center in the back garden. The more she was taught about plants the more her interest was piqued: by the time her children had grown up and left the home she was completely hooked on gardening. This stunning garden demonstrates a planter real love of things that grow – from beautiful archways that lead to stunning arrangements of flowers carefully selected to complement one another to very carefully planted borders and shrubberies that dazzle the eye. Lancashire is awash with places to visit and things to do, being one of England’s most popular tourist destinations. 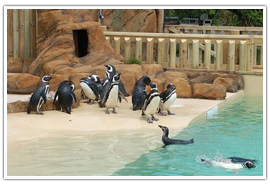 Blackpool Zoo is an award-winning animal park, with a massive variety of wildlife to see, photo-opportunities and top-class amenities. With tigers, goats, lions and aardvarks, emus, flamingos, penguins and tortoises to name but a small selection of the fantastic wildlife on display here, there’s sure to be something for everyone to see at Blackpool zoo. Referred to as the ‘Downton of the North’, Gawthorpe Hall was redeveloped in the late 1850s by Sir Charles Barry, the famed creator of the Houses of Parliament and the “true” Downton Abbey – Highclere Castle. The modest but beautiful old Hall houses the North West’s biggest accumulation of pictures on loan from the National Portrait Gallery and also the wonderful and critically acclaimed Gawthorpe Textiles Collection, a grand gathering of delicate lace, weaving, and embroidery collected over the years by Miss Rachel Kay-Shuttleworth. 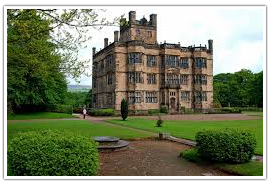 Run in collaboration with Lancashire County Council, Gawthorpe Hall is an extraordinary family day out with plenty to see in the Hall, play areas as well as lovely forested areas to wander around and explore. The Grand Theater was opened on July 23, 1894, by Thomas Sergenson, Blackpool’s first theatrical manager to ever achieve real, evidential and consistent success. Sergenson named the theatre ‘Matcham’s Masterpiece’, a title that is much more justified now that there are so few surviving cases of the work of Frank Matcham, the leading Victorian theatre designer and architect extraordinaire. The theater took only nine months to construct and cost Sergenson £20,000 (which would have been a matter of millions in those times), some of which he had earned by working two small leased theatres and from a carnival that he organized for successful summer seasons on the site of The Grand itself. 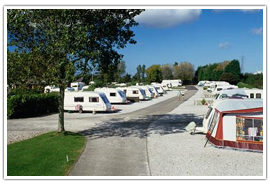 Lancashire has a wonderful variety of things to do with lots of interesting places to visit and explore. Rivington Pike is a lonely old hill summit on Winter Hill, a wild part of the West Pennine Moors, looking out over the ancient town of Rivington. 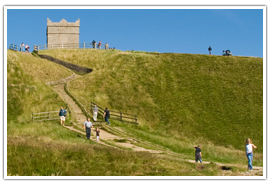 The unmistakable summit of Rivington Pike was the site of one of an intricate network of large beacons spreading over England and used as an early warning system. The system itself was devised and implemented by Ranulph de Blundeville, fourth Earl of Chester in 1139, after a Scottish assault in 1138, when a small Lancashire regiment was completely crushed near Clitheroe by a much bigger Scottish regiment, completely without warning. This is a fantastic spot for photos and isn’t far from the interesting towns of Chorley and Horwich. 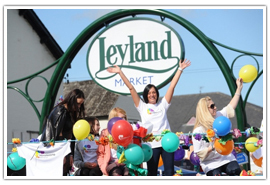 Leyland Festival is a yearly charity occasion and a festival that celebrates the numerous volunteers, nearby organizations, and groups who work together to ensure that the Festival keeps on developing and improving each and every year. Every year the Festival starts with the customary classic vehicle parade through Leyland, eventually finishing at Worden Park. The famous parade has organizations and neighborhood group floats, brass and marching bands, organized dance troupes and lovely old historical vehicles. Worden Park is the setting for a large range of activities that generally appeal to the whole family, allowing in turn for an extraordinary day out! 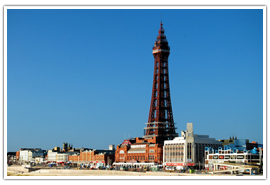 No trip to Lancashire would be complete without visiting the world famous Blackpool Tower. Erected in 1894, The Blackpool Tower is an iconic beacon amongst the most notable structures in the UK and one of Britain’s most cherished historic buildings. It houses five astounding attractions, ideal for a fun-filled day for all to enjoy. 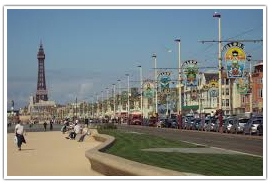 During World War Two The Blackpool Tower was shut before opening its doors once more in August 1946. The Hydraulic lifts to the Tower Top were reconstructed and wining rigging supplanted in 1956-57. Totally new lifts and slowing down were introduced in 1991. Today, the Tower sees thousands of visitors every week, with yearly totals reaching into the millions. Lancashire people enjoy tea and love nothing more than to sit down in the afternoon with hot tea and biscuits, or perhaps a warm scone or two. Shaw Hill Hotel is a restored Georgian mansion that looks out over acres of their elegant Woodland Park fairway. Their Regency-style Vardons Restaurant serves exquisite and delicious British food. 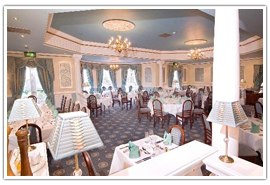 They serve a customary Afternoon Tea that is accompanied by a choice of sandwiches, scones with jam and chantilly cream, a large selection of teas, and a choice of either a glass of sparkling, ice cold Prosecco, deliciously fruity Bucks Fizz or for those with a bend for cherries – Kir Royale. 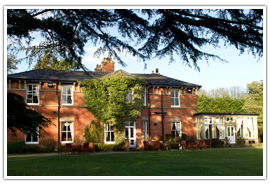 Bartle Hall Country Hotel and Restaurant is situated in the midst of delightful Lancashire farmland. Set in 16 beautiful acres of delightfully arranged gardens and woodland, this luxurious, antiquated building is brimming with period appeal and character. 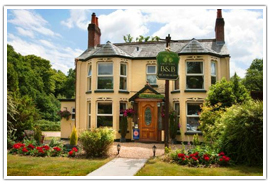 Bartle Hall Hotel is located perfectly between its neighboring towns of Preston and Blackpool. Visitors can delight in a selection of fresh, delicious sandwiches, warm, freshly made scones, custom-made dainty cakes, and forte teas. 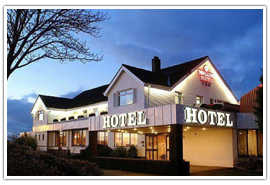 Samlesbury Hotel is a 4-star lodging with a modern, almost spartan feel. This hotel rests conveniently near Junction 31 on the M6 motorway, with simple access to the nearby cities of Preston, Blackburn, Liverpool, Manchester as well as being on the doorstep to the enchanting Lake District. They serve a wonderful selection of traditional Afternoon Tea or a celebration Afternoon Tea, for those who are searching for something more unique and memorable. Evening Tea is served in their lounge and restaurant while in the summer when temperatures allow, tea is served in the Summer Garden, where guests can relax and while away the late summer days. 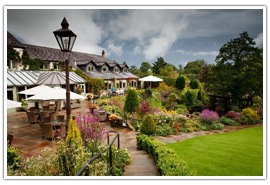 Lancashire’s location makes it an ideal route to the Lake District, and many couples capitalize on that, choosing Lancashire as their ideal wedding venue. Picture your wedding in a fairytale, ivy-clad sixteenth-century manor house, with stunningly preserved stone mullioned windows and set in 22 tranquil acres of well-tended gardens. 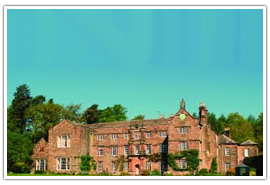 Set in the historic Ribble Valley, the Stirk House Hotel is one of the area’s most popular wedding venues. You and your visitors will find yourselves surrounded by wonderful views of the mysterious and magical Pendle Hill and the stunning rolling Yorkshire Dales, all lending to the ideal backdrop to your most perfect day. A great many couples have depended on the Gibbon Bridge Hotel with the important task of arranging either a wedding function and/or wedding breakfast. 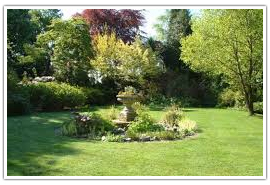 They pride themselves on offering an expert and individually tailored service, which guarantees everybody enjoys the day they have always wanted; and all in the most wonderful and romantic country setting of the historic and beautiful Ribble Valley. 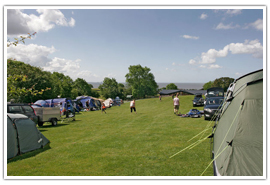 Lancashire is a hub for travelers heading towards the historic lake district in bordering Cumbria, and as such attracts campers and caravan owners from the world over.